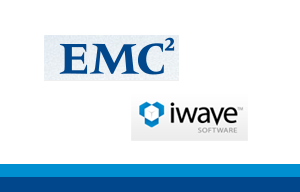 EMC has acquired iWave, a developer of storage and cloud automation software, for an undisclosed sum. iWave, which is a privately-held subsidiary of the Hall Financial Group, offers software tools to help enterprises install, configure and automate tasks associated with the provisioning and management of storage infrastructures, data centers and cloud environments. The company was founded in 1993 and is headquartered in Frisco, Texas (a suburb of Dallas), and maintains offices in London, England and Moncton, Canada. Major U.S. banks are continuing to experience cyber attacks from the Izz ad-Din al-Qassam Cyber Fighters, the same group that launched DDoS volleys last Fall. The New York Times reports that the major banks have seen higher volumes of Internet traffic to their websites but that customer data has remained safe. 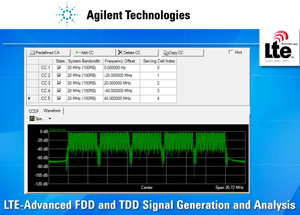 Agilent Technologies has introduced the first LTE-Advanced 8x8 MIMO signal-generation and analysis solutions. LTE-Advanced promises peak data rates of up to 1 Gbps in the downlink and 500 Mbps in the uplink by aggregating up to five component carriers, each up to 20 MHz wide. It also leverages improved multi-antenna techniques in both uplink and downlink. For the downlink, LTE-Advanced introduces transmission mode 9, which enables Multiple-Input Multiple-Output (MIMO) with up to 8 spatial streams and antennas. Agilent's LTE-Advanced 8x8 MIMO signal-generation and analysis solutions comprise Signal Studio and 89600 VSA software, as well as the Agilent X-Series vector signal generators and multi-channel signal analyzer with up to eight measurement channels. The solutions support generation and analysis of FDD and TDD signals compliant with the 3GPP Release 10 standard. Agilent said its solution allows engineers to start testing physical layer implementations of LTE-Advanced devices. Its multi-channel signal analyzer enables full analysis of LTE-Advanced standards on next-generation antennas, base stations and user equipment. Working with the 89600 VSA, it enables phase-synchronous and cross-channel measurements with up to eight RF channels in a single mainframe. "As a recognized leader and provider of world-class LTE solutions, Agilent plays a pivotal role in the development, revision and implementation of the 4G technology, LTE-Advanced," said Andy Botka, vice president and general manager of Agilent's Microwave and Communications Division. "Our first-to-market 8x8 MIMO test solutions further complement Agilent's comprehensive portfolio of LTE-Advanced signal-generation and analysis solutions, and reaffirm our commitment to actively leading the evolution of LTE to a 4G technology." ABI Research estimates that 103 million 4G LTE mobile devices shipped in 2012, although the research agency notes that there is not a 1-to-1 correspondence between devices and LTE subscriptions. According to the report, LTE-enabled handsets to 91 million units by YE-2012 and the balance coming from other mobile devices. New sign-ups and conversion of 3G subscribers with LTE-capable handsets should gather pace in 2013 and 2014. By 2017 we are anticipating 785 LTE million subscribers, up from 58 million at the end of 2012 – generating US$14 billion in annual service revenues,” stated Phil Solis, Research Director. China Telecommunications Corp. awarded a tender for cloud computing services to ZTE. ZTE will supply its proprietary iECS server virtualization software and iRAI cloud desktop system. iECS combines the ZEN and KVM virtualization engines with ZTE’s operating system technology and management software to provide comprehensive virtualization capabilities, while iRAI supports data traffic redirection and virtual applications, providing reliable virtual connectivity. The desktop cloud system supports multiple desktops for a single user, and is compatible with most mainstream terminals. ZTE said its selection for this contract breaks the traditional monopoly of overseas vendors.